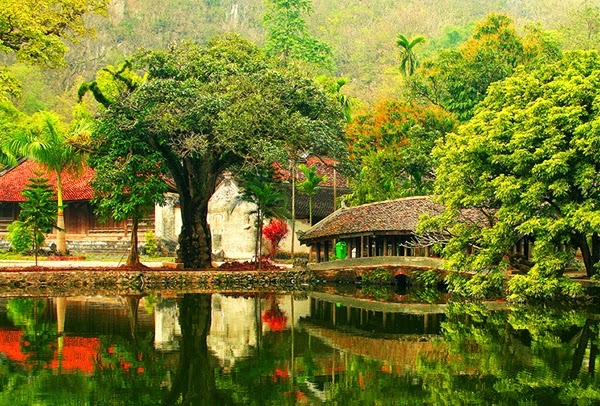 Located in charming scenery, Thay Pagoda is home to restore the historical - cultural values of Vietnam country. Unique architecture and magnificent natural scenery has turned Thay Pagoda into one of the most attractive tourist sites in Hanoi. 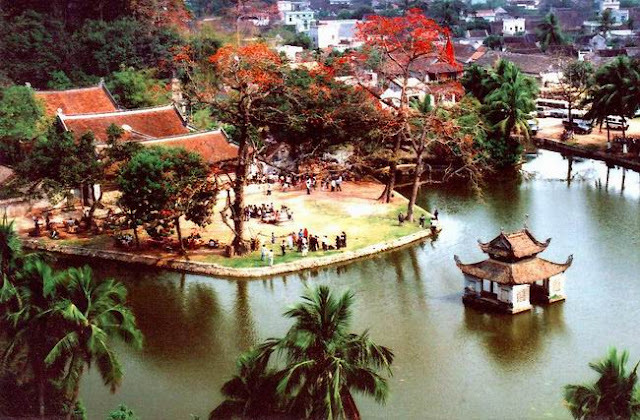 Located at the foot of arc-shaped limestone among the delta in Sai Son commune, Thay Pagoda, also known as Master Pagoda, is situated in two villages, namely Da Phuc and Thuy Khue, Quoc Oai District, Hanoi. It is the charming natural scenery with the landscapes looking like the Penglai world. The pagoda is associated with the name of Monk Tu Dao Hanh, who had great success in teaching and healing the locals as well as organized and established wrestling and water puppetry. Thay Pagoda with the beauty of the natural landscapes and the historical - cultural values actually creates a tourist attraction in Hanoi. On the spectacular mountain scenery of Sai Son, Thay Pagoda appearing in the tranquility under the dim mist will certainly offer tourists special impressions. The ancient pagoda with arched tiled-roofs are built quite spacious with unique architectural style of Tam (Three) letter in kanji including Ha (Lower) Pagoda, Trung (Middle) Pagoda and Thuong (Upper) Pagoda parallel to each other. 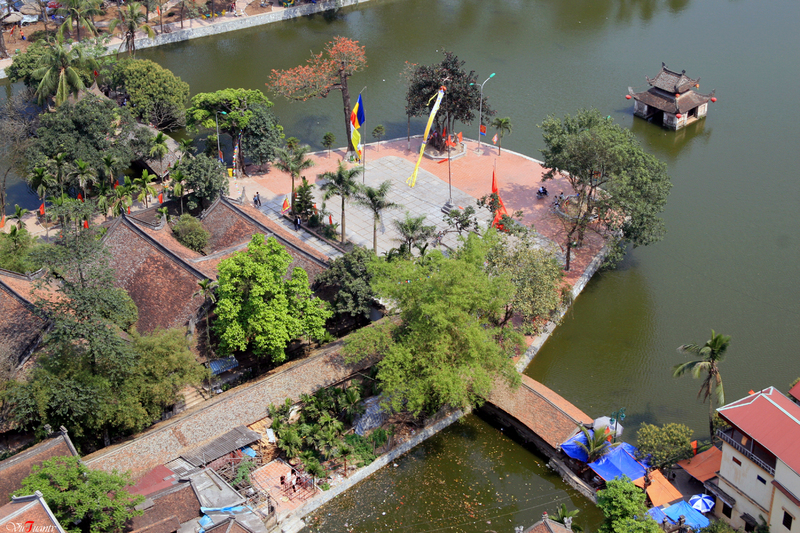 As a famous pagoda in Hanoi, Thay Pagoda is located in an airy space with fresh lakes and numerous blooming flowers. The pagoda also retains a house on the water surface, which is home to water puppet performances along with two small bridges, namely "Nhat Tien Kieu" (bridge welcoming the sun) overlooking Tam Phu Temple and "Nguyet Tien Kieu" (bridge welcoming the moon) linking with the paths up to the mountain. Ha Pagoda is the place of worshiping of Buddhists and monks as well as Buddhist teachings of the monks; meanwhile Trung Pagoda is home to worship Three Jewels. The biggest and largest is Thuong Pagoda - where houses three statues of Zen Master Tu Dao Hanh. Discovering Thay Pagoda is one of the most unforgettable things to do in Hanoi. In the middle of Upper Palace is a massive sanctum which was decorated extremely magnificently. Below is the statue of Zen Master in samadhi on the golden lotus throne with his lotus flower hat, arms folded across his chest and his maroon robes. On the worshiping place on the left side of the sanctum is the statue of full body of the Master. The statue was carved in wooden with the contours ingeniously and sophisticatedly sculpted. 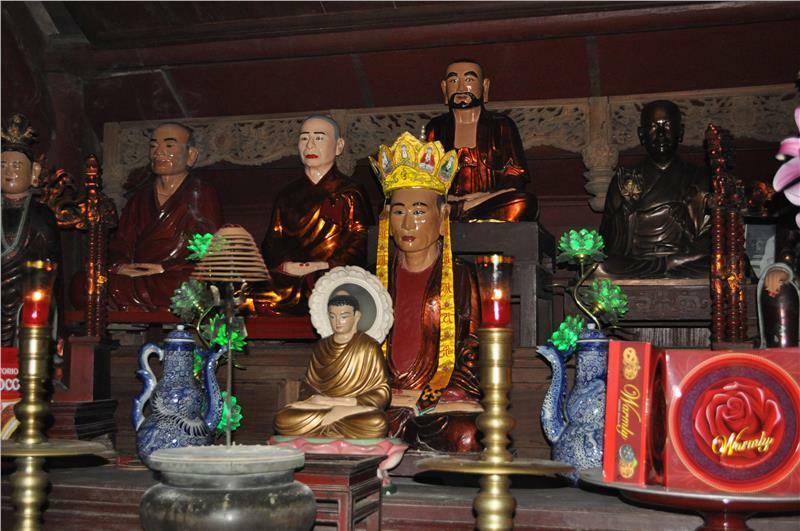 Thay Pagoda also worships the parents of Master Tu Dao Hanh with statues of Mr. Tu Vinh and Mrs. Tang Thi Loan together with 2 statues of his close friends, namely Zen Master Minh Khong and Master Giac Hai. The two sides of the pagoda are the long corridor worshiping 18 Arhats with the steeple behind. The unique architectural works contributes to promote Thay Pagoda to become one of the fascinating Hanoi attractions. One of the unique features that makes Thay Pagoda become much famous compared to other pagodas in Hanoi is the immense space along with tranquil landscapes of the pagoda. Going halfway up Thay Mountain, tourists will set foot on Cao Pagoda, where the Master Tu Dao Hanh began his spiritual path. Go around to the back is Cac Co Cave. The cave relatively wide and deep together with the slippery road easily makes tourists slip; they thus must go step by step and cling to each other. Going back to the top, tourists will catch Thuong Temple and unique exciting But Moc (Buddha appearing) Cave, murky Bo (Buffalo) Cave and Gio Cave. In addition, tourists will find a system of valuable ancient epitaphs in kanji and Nom letter stored in the pagoda. Discovering Thay Pagoda when participating in Hanoi travel will surely be unforgettable experiences for tourists. In the days of the festival, the locals and tourists have an opportunity to contemplate water puppet shows and the great number of unique and vibrant folk games. Thay Pagoda surely brings the feelings of peace and delight for tourists. The Buddhists who worship Buddhist for the peace and luck together with tourists going sightseeing create the crowded and lively festive season. Charming natural scenery and the vivid legend of Zen Master Tu Dao Hanh have turned Thay Pagoda into sacred and increasingly attracted tourists. Immersing in the peaceful scenery and the tranquil space of the pagoda, tourists will certainly find the special moments and forget the noise and hustle of the urban life as well. 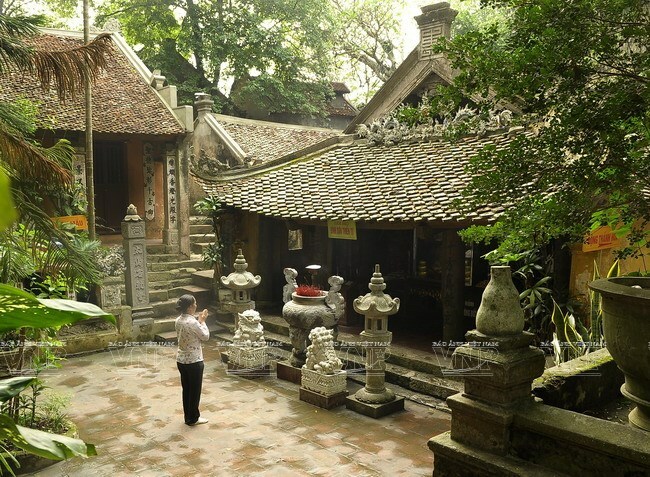 Thay Pagoda is worth the must-see tourist attractions in the journey of discovering Hanoi tours; simultaneously, it significantly contributes to promote Hanoi tourism to both domestic and international tourists.